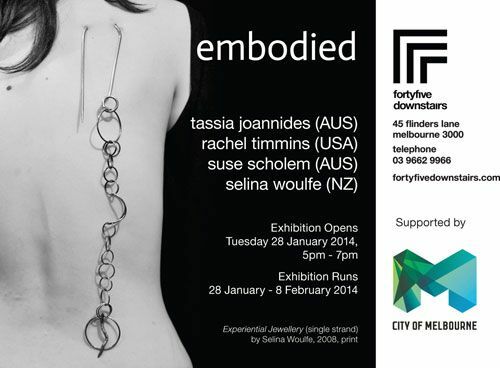 embodied features diverse work by four contemporary jewellers from Australia, New Zealand and America. Tassia Joannides, Suse Scholem, Rachel Timmins and Selina Woulfe break conventions of wearability, each incorporating performance; photography; ephemeral and interactive work as well as object making in their practices. 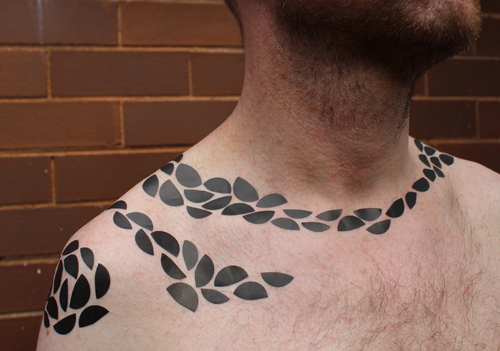 embodied brings these artists together for the first time to engage audiences in unique dialogues on the body.